The transformer are manufactured in accordance with IS 2026/1977, IS 1180/1969, IEC 60076 or as per customer’s custom requirement. Unless or otherwise specified the transformers will be connected as per Vector Group reference DYn 11 in accordance with International practice. The core used is best quality cold rolled gain oriented and laser processed silicon steel sheet. They provide low iron loss,low noise, compact size and have the best performance for high efficiency transformers. We use high quality conductor of copper/aluminium in our products. 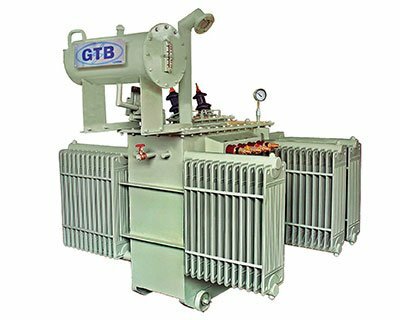 Round or rectangular copper/aluminium wires/strips ribbed with thermally upgraded insulating paper are applied in oil immersed transformers. The winding have a compact size,excellent heat transmission, low load loss, high lighting impulse resistivity and outstanding anti-short-circuit strength. Unless or otherwise specified, the transformers will be connected as per Vector Group reference DYn 11 in accordance with International practice. The core used is best quality cold rolled grain oriented and laser processed silicon steel sheet. They provide low iron loss, low noise, and compact size and have the best performance for high efficiency transformers. We use high quality conductor of copper aluminium in our products. Round or rectangular copper/aluminium wires ribbed with thermally upgraded insulting paper are applied in oil immersed transformers. The winding have a compact size, excellent heat transmission, low load loss, high lighting impulse resistivity and outstanding anti-short- circuit strength. 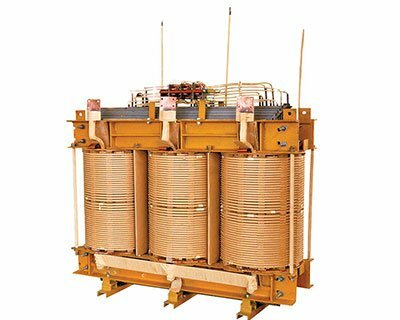 Our oil-immersed transformers are insulated by electrical grade insulated press board and thermally upgrade insulating Kraft paper. Tapings + 5% to -15% in steps of 1.25% or as per customer’s requirement. Dehydrated EHV-Grade transformers oil as per IS 355 (1993) with latest amendments is used for proper insulation and cooling after testing for all the parameters viz a viz resistivity, tan delta, BDV, neutralization, flash point etc. HV/LV Bushings: The quality porcelain bushings are used on the high voltage terminals/low voltage terminals. Optional bushing wells, inserts and elbows are available upon request. High voltage cables are inserted directly and show no live parts outside. Buchholz relay, cooling fan, HV & LV cable box, cable duct, bus bar duct, dial-type thermometer, oil level gauge, on-load type tap changer, protective fuse and lightening arresters are available upon customer’s request at extra cost.